Will DaaS Work for You? The answer to the rent-versus-buy equation changes depending on its application. You’re usually better off buying real estate. But when it comes to computing resources, the cost of ownership may actually be a hindrance. Decision-makers have to wrestle with this decision. Do you leverage your existing IT technology for a push into DevOps, or do you move it to the cloud? Here are some questions to help you decide. Do you already have the infrastructure? If you don’t, DevOps as a Service (DaaS) lets you move right into app performance because you can immediately access automated processes. Your provider becomes your partner in auditing development and operations with integrated tools that might require capital expenditures. For DevOps to be successful in the cloud, developers must have access to all the development tools they need from a single source. The benefit to this singular toolset is that it’s much easier to track progress and action. Look for providers who can offer it if you don’t have the infrastructure yourself. Even if you have the current infrastructure capacity, can it scale? That’s what the cloud was made for. One of the key benefits of cloud-based DevOps is that it becomes possible to have affordable development and production environments which are based on identical configurations. Both the code and operations can be incrementally improved. Creating software and building the infrastructure to run it goes from being an ad hoc process to a proactive approach – which describes a unified approach that can use the same building blocks over and over again. The tools required for successful DevOps continue to grow and deepen in complexity. Continuously building and testing code, source control, configuration management, scalable deployment, and managing all of this can quickly overwhelm IT departments who may not know how to configure these tools or have the skills to automate the delivery process. ZDNet reports that many companies are utilizing hybrid cloud models citing time to market and cost reduction as top benefits. This same approach can be used with DaaS. It can be successfully deployed as a complement to in-house software development and deployment, where DaaS is utilized to offer scalable resources for specific projects. Would you like to move faster? The overarching benefit of DevOps is faster time to market. Cloud-based infrastructure allows for immediate resource scaling. That’s something you may not be able to accomplish if you maintain IT operations in-house. Ultimately, organizations want technological innovation that leads to happy customers. The obstacle is that developers need faster iteration times than they can get from the system administration of in-house IT departments. In most cases, cloud-based DevOps activities facilitate quicker frequency because of on-demand data storage and computing power. You can use the benefits that come with a distributed team, too, as cloud-based DevOps tools can be accessed anywhere. 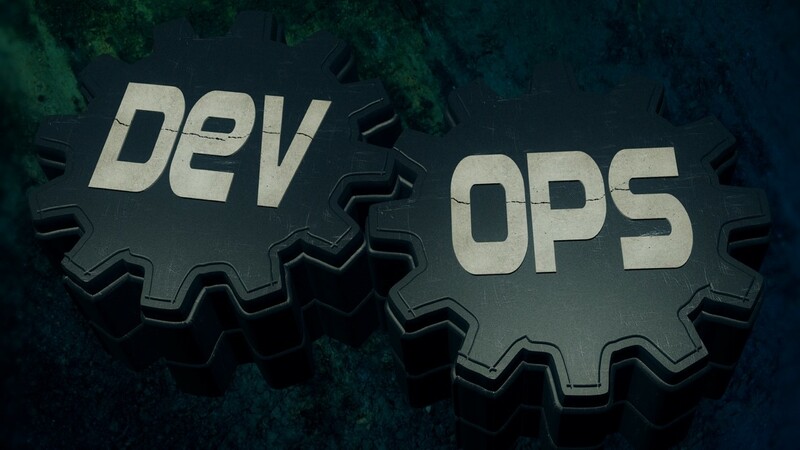 The objective of DevOps is for these two areas to work better by thinking more alike and sharing more responsibilities. Workflow and infrastructure are automated while continuously measured for improvement opportunities. DaaS helps with focus because developers and operations each get to utilize their respective toolsets without having to understand the other side. Automated infrastructure allows for more focus on improvements that add value to the organization because both development and operations can pay more attention to products and services that customers purchase. DevOps starts with people and the process before moving on to the tools and infrastructure. It requires software development and IT operations professionals to change their mindset on how they can work together. DaaS offers the tools you need, but you’ll still have to provide the people. DevOps does create an environment of synergy and collaboration, but you’ll be using a suite of orchestration tools that allow for complete coordination and control of the automation required. You’ll need a deep understanding of industry standard DevOps tools like Docker, Chef, and Puppet. You’ll want to select a provider who can support you if your aim is to incorporate DaaS as you move toward DevOps, but your IT team doesn’t have the necessary expertise in the required tools that facilitate integration, infrastructure, and workflow. Learn more about how we can help you with our cloud-based approach to DevOps as a service.